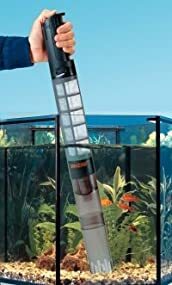 Unlike siphon operated gravel vacuums which require buckets and hoses the EHEIM Quick Vac Pro is a hassle-free solution to conveniently maintaining the bottom of your aquarium. The EHEIM Quick Vac Pro Automatic Gravel Cleaner and Sludge Extractor makes cleaning an aquarium as easy as pressing a button. Just insert the suction end into the gravel. 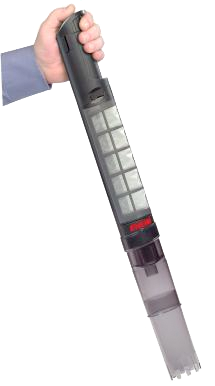 The water suction lifts the waste up and deposits it into the super-fine mesh cartridge. Quick cleanings are done in minutes. The Quick Vac Pro comes with a 2-year guarantee from EHEIM.